Celebrate this 8 day festival of lights with delicious Hanukkah cookies and desserts from Cheryl's. 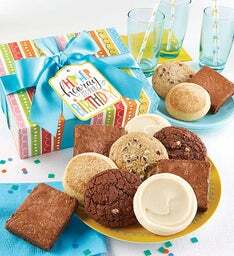 Hanukkah gift baskets with dreidel shaped cookies, menorah cookies & more! Part of celebrating Hanukkah is experiencing all of the delicious holiday food. Blue and silver Hanukkah cookies are a perfect gift for friends, family, co-workers, or yourself! 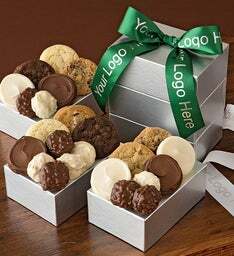 Personalized Hanukkah cookie gifts help you and your loved ones celebrate the festival of lights with delicious treats that are designed to offer a wide assortment of options in different colors, styles, and flavors. 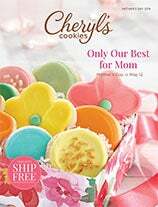 If you’re looking to buy Hanukkah cookies that really represent the holiday season, Cheryl’s personalized cookies are a great choice. 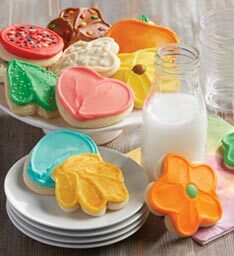 Hanukkah Sugar Cookies & More! Our individually-wrapped Hanukkah sugar cookies, as well as other types of Hanukkah cookie flavors and shapes, such as dreidel and menorah- shaped cookies. 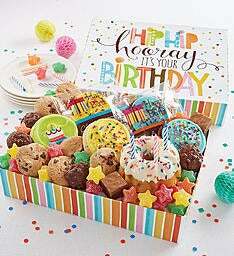 Are you looking for a Hanukkah gift tower, tin, box, or gift basket? 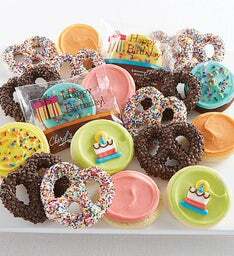 These Hanukkah cookie gifts can be sent to anyone on your list. Choose the gifts that best fit your friends and family, then have them delivered for a special holiday treat!